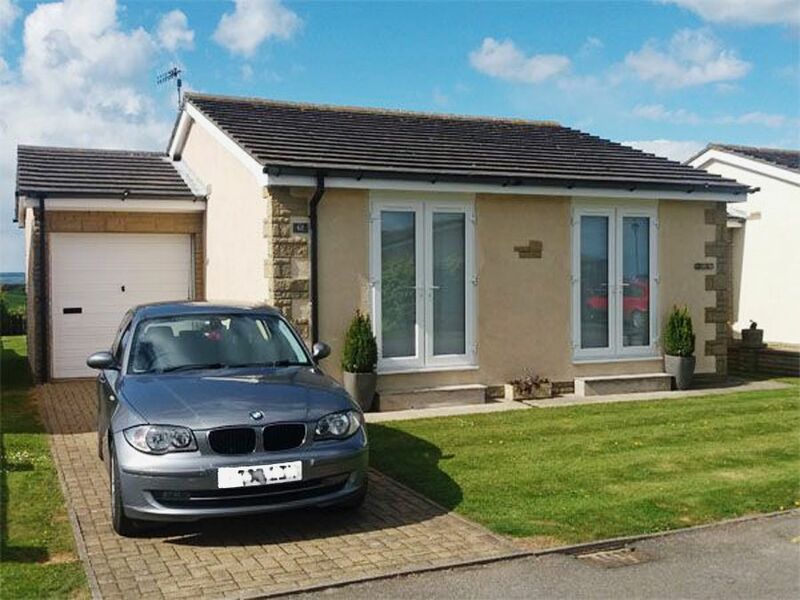 Detached seaview bungalow parking and garden. Our third visit to Across the Bay and we are never disappointed or troubled by anything during our stay. The bungalow feels like a home from home and no doubt we will be make a fourth trip next year! 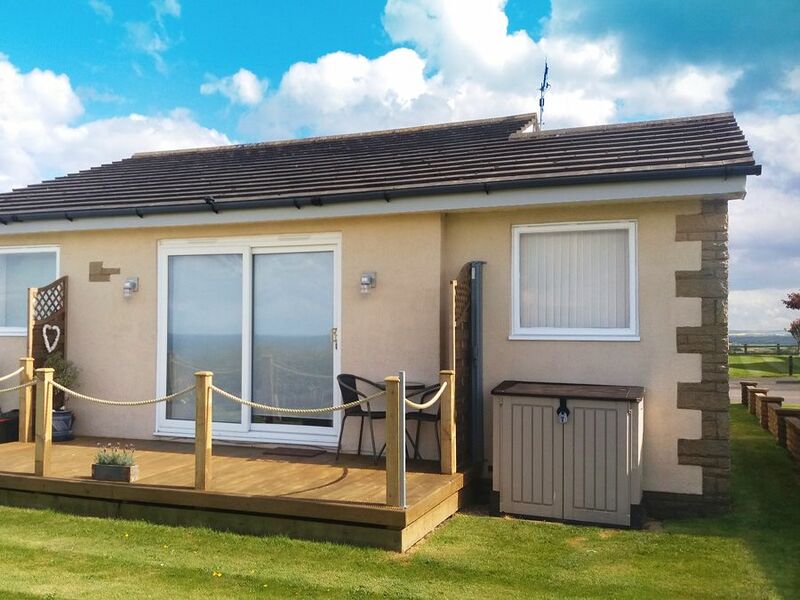 The good order and general presentation of the bungalow is a great credit to its owners and Bedwyns. 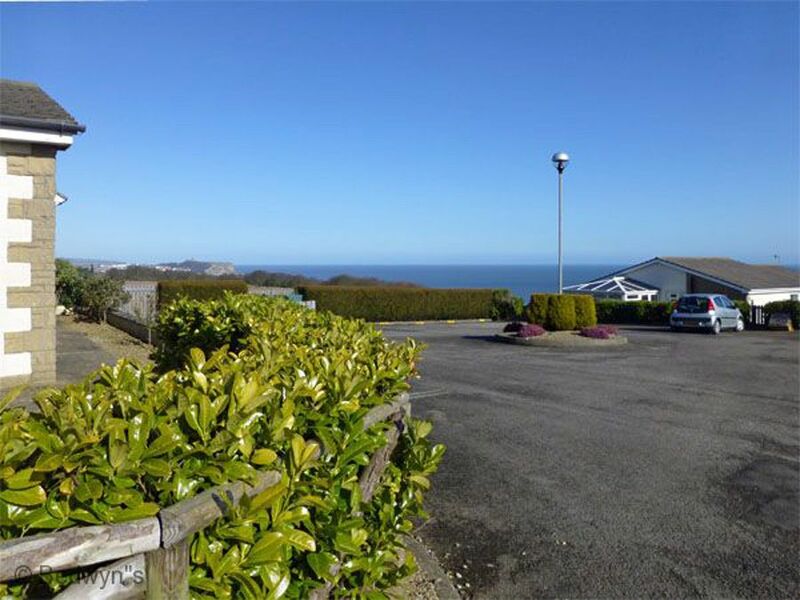 The view out to sea and across to Scarborough cannot be bettered and the dedicated parking area is greatly appreciated. 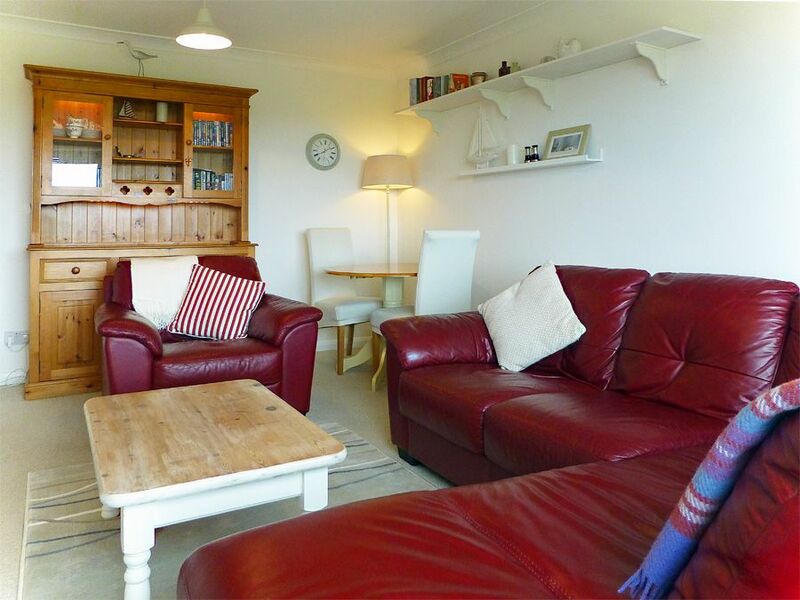 Warm and welcoming Sea-View Bungalow with private parking. 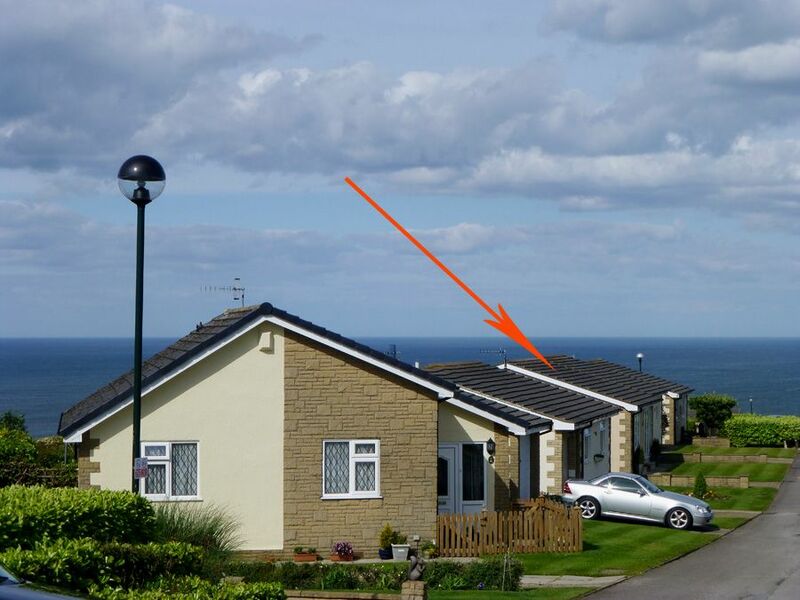 This detached bungalow is situated in an enviable location on a dramatic but peaceful headland, just south of Scarborough. ONLY ADULTS please and FRIDAY - FRIDAY FOR FULL-WEEK BOOKINGS PLEASE ... any start day for short breaks. 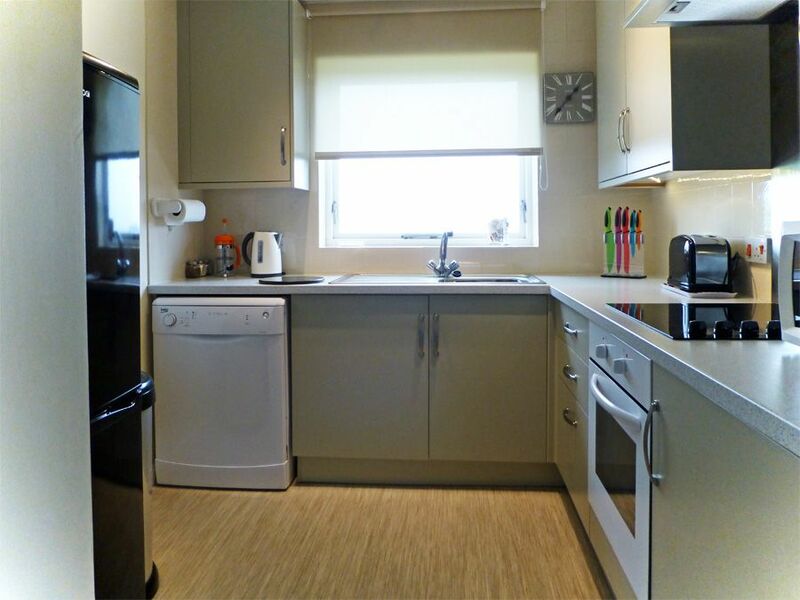 This well-appointed bungalow has a brand-new kitchen complete with dishwasher, fridge-freezer, oven, hob and extractor, toaster and microwave. 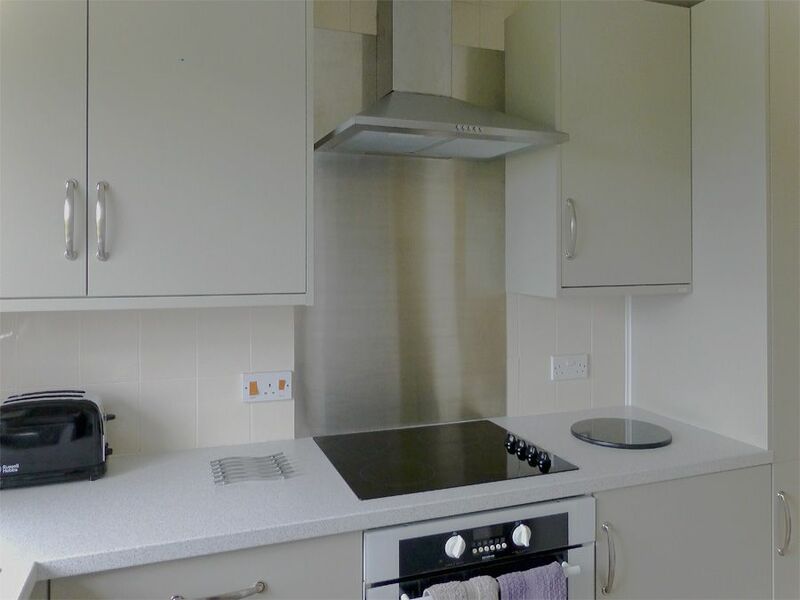 Plus all the usual utensils and equipment you would expect in a quality holiday property. 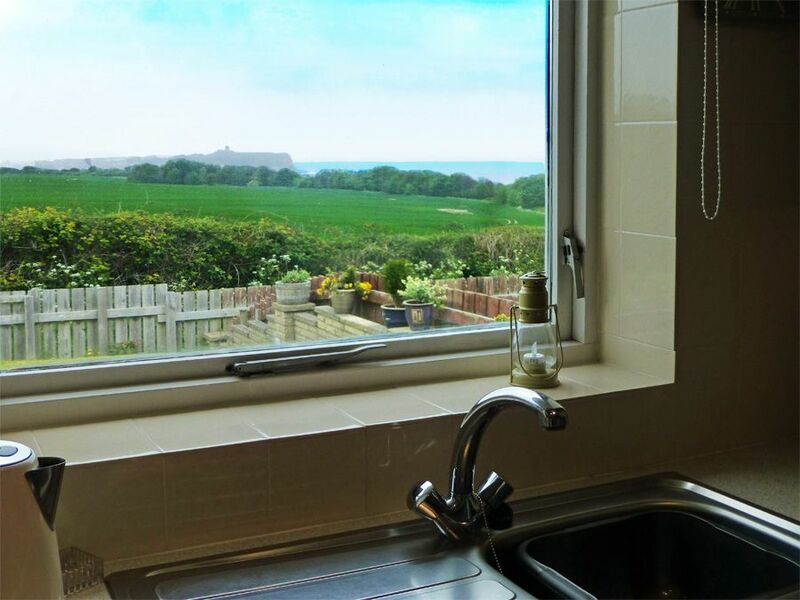 You have lovely sea, rural and Scarborough views from the kitchen window. 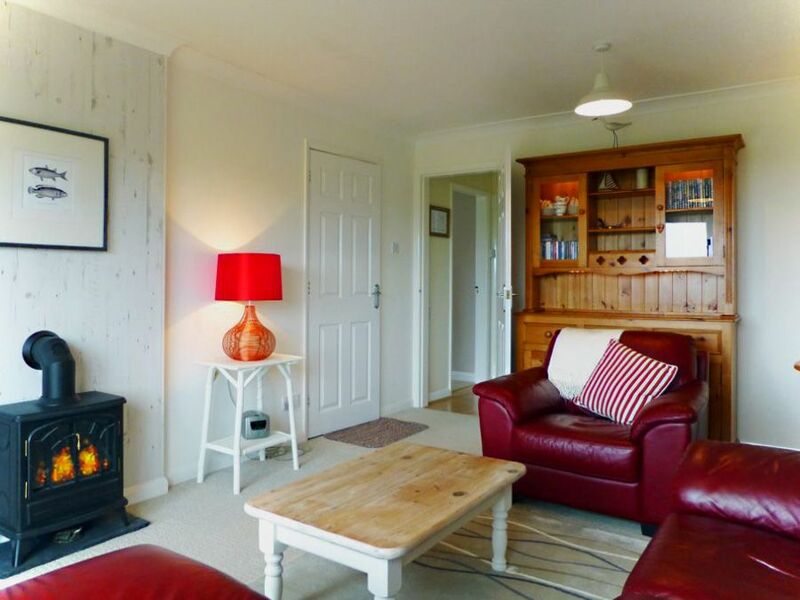 Through the entrance hall you are greeted by a fantastic lounge with comfortable seating, flat-screen TV/DVD, coffee table, lamps and an electric fire. 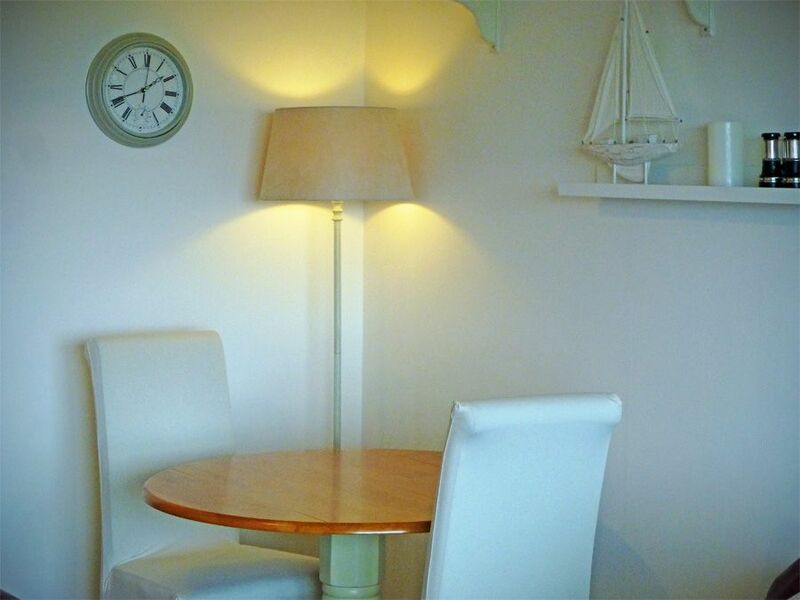 There's a dining table and chairs where you can sit and dine whilst enjoying the views. 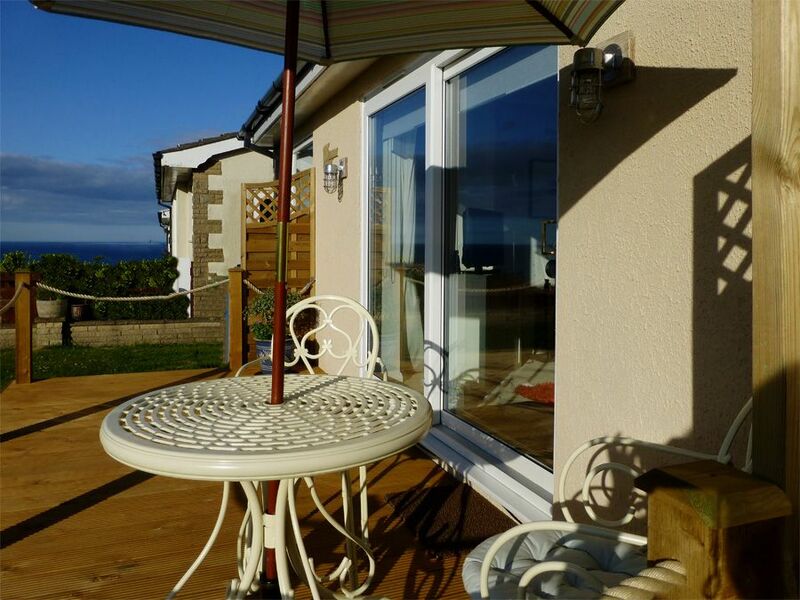 In addition, large patio doors giving great armchair sea views across the bay, to Scarborough. To keep you entertained on an evening in, the property owners have provided lots of books, games and DVDs. To the rear of the lounge a small hall gives access to the bathroom and bedrooms. 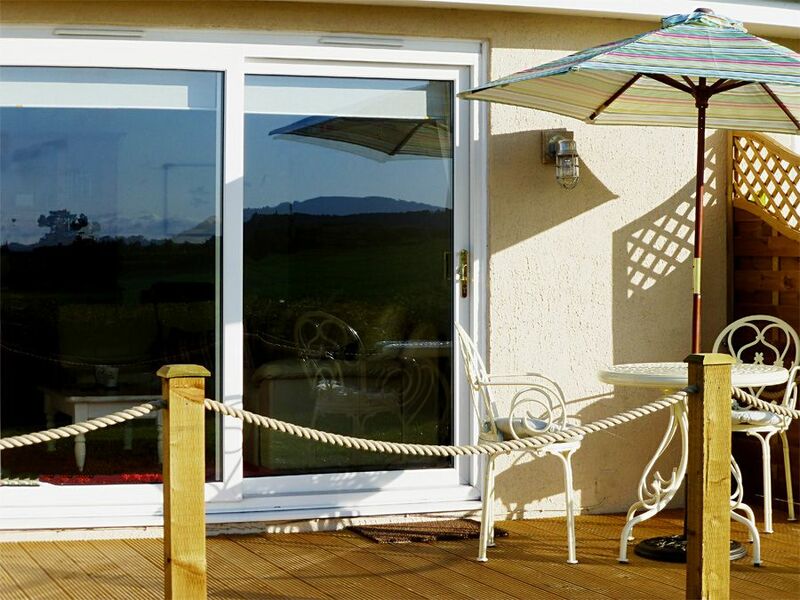 The sliding patio door opens the lounge to a large private deck. 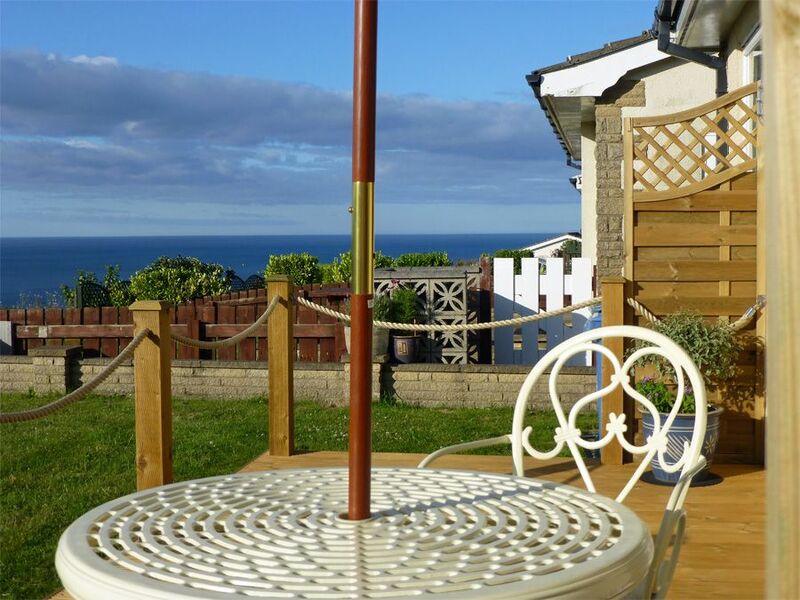 Here you can enjoy magnificent panoramic views out to sea, open fields and Scarborough's South Bay. On a clear day you can see as far as the horizon where the North York Moors meet the sky. 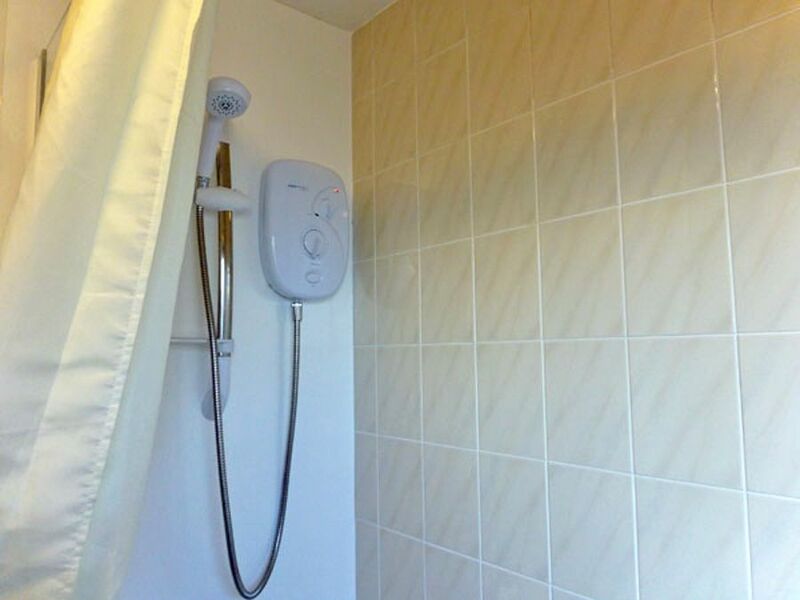 The bathroom has a WC, hand washbasin and an electric shower over the bath, all heated by a large towel warmer and fan heater. Also there's a nice big airing cupboard giving storage space for toiletries and towels. 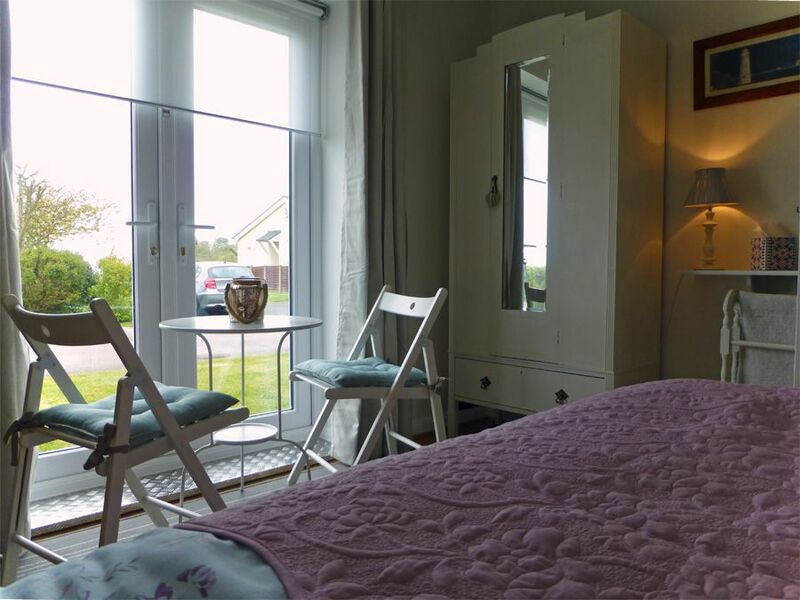 Two tastefully-furnished bedrooms complete the accommodation. Each bedroom has patio doors opening to a lawned area. 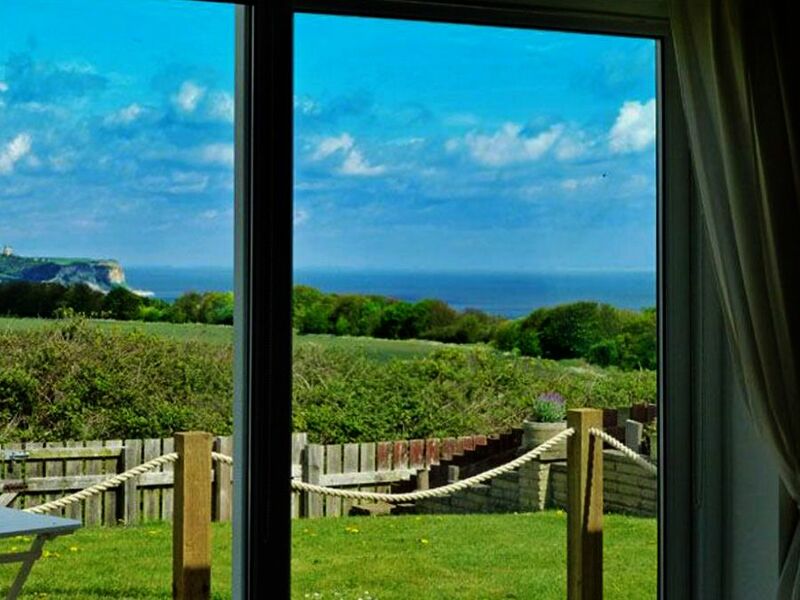 From the bedrooms you have far-reaching views beyond Cayton Bay to Bempton Cliffs and the Yorkshire Wolds. 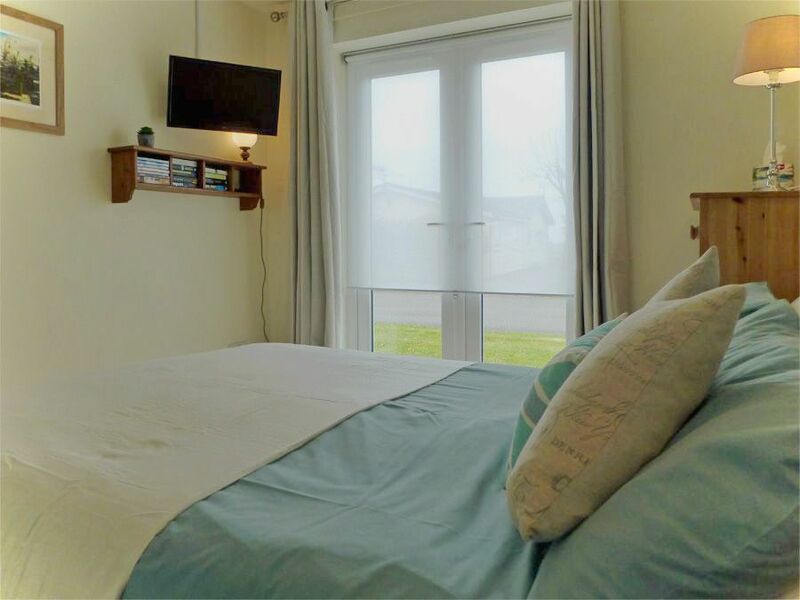 The inviting MASTER BEDROOM has a double bed, TV with integral DVD player and reading lamps. Large mirrored wardrobes, a tall chest of drawers and bedside cabinets provide more than enough storage and hanging space for guests. 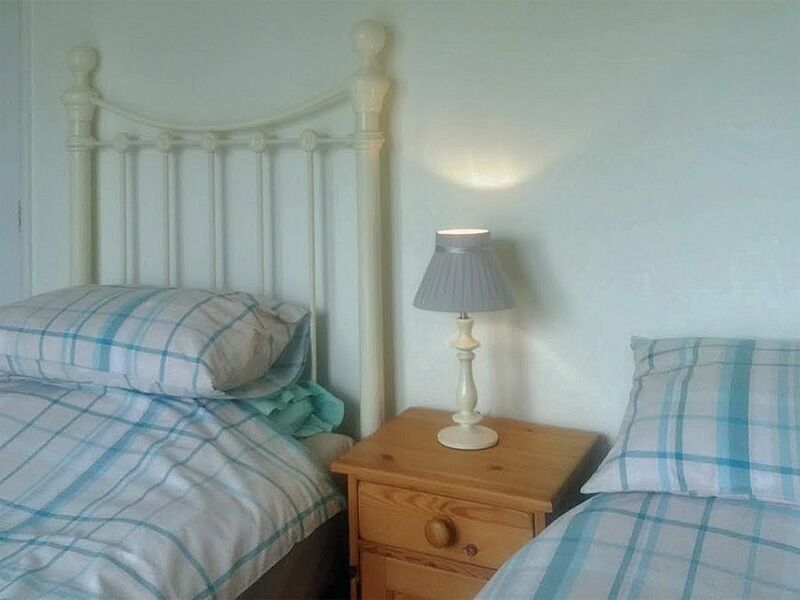 The SECOND BEDROOM has a single bed and a full-size high-quality guest bed beneath, so this room can be arranged to sleep either 1 or 2 guests. 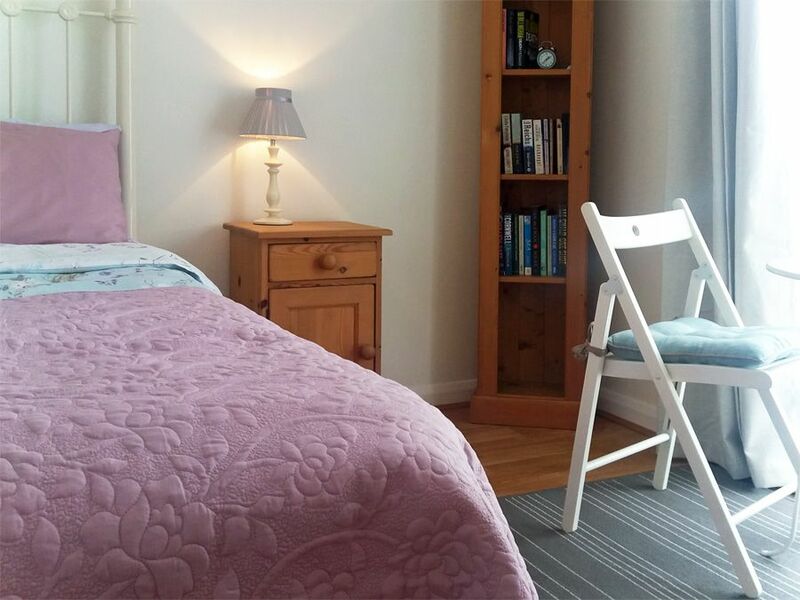 This bedroom has a wardrobe, drawers, bedside cabinet and reading lamps. The entrance hall has coat hooks and storage space for shoes and opens to the kitchen and lounge. 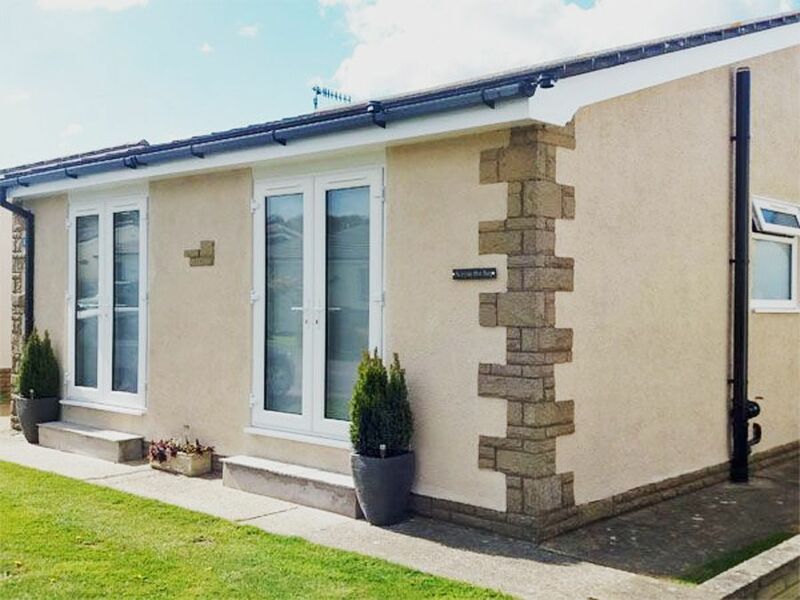 This is a cosy and warm bungalow, In addition to the double glazing the property is heated by way of modern electric background heaters and instant fan heaters (if required). 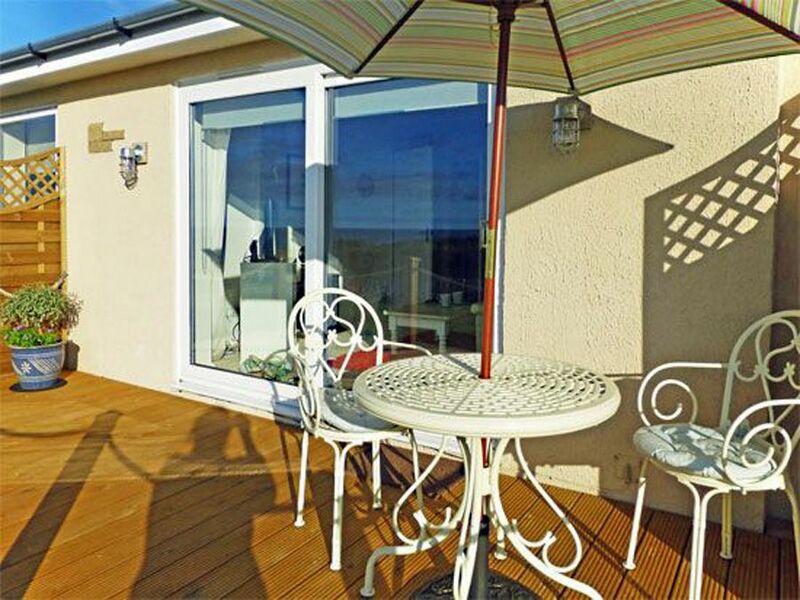 Off the lounge, you have a private deck and a lower grassed area. Complete with garden furniture this is a wonderful place to sit out and take in the ever-changing coastal and countryside scenery. 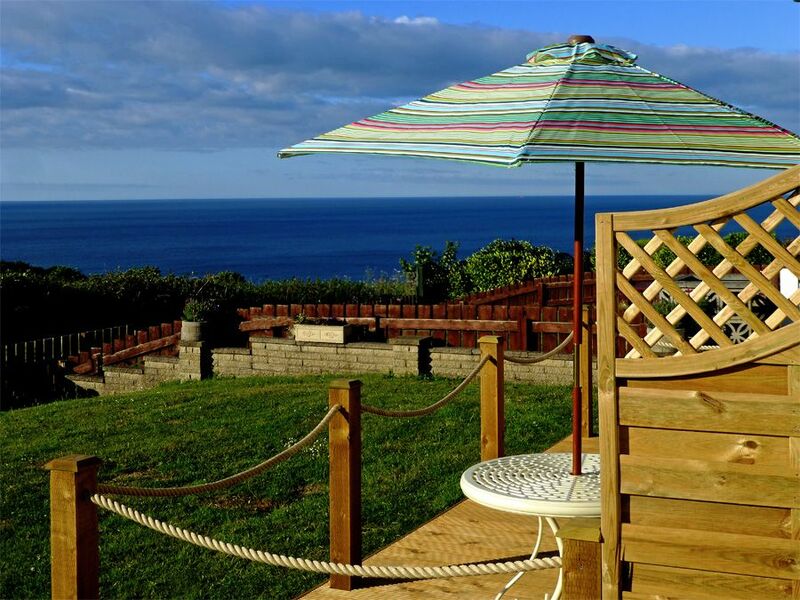 The garden is bounded by a low stone wall and fencing, and has a gate allowing direct access to the Cleveland Way. 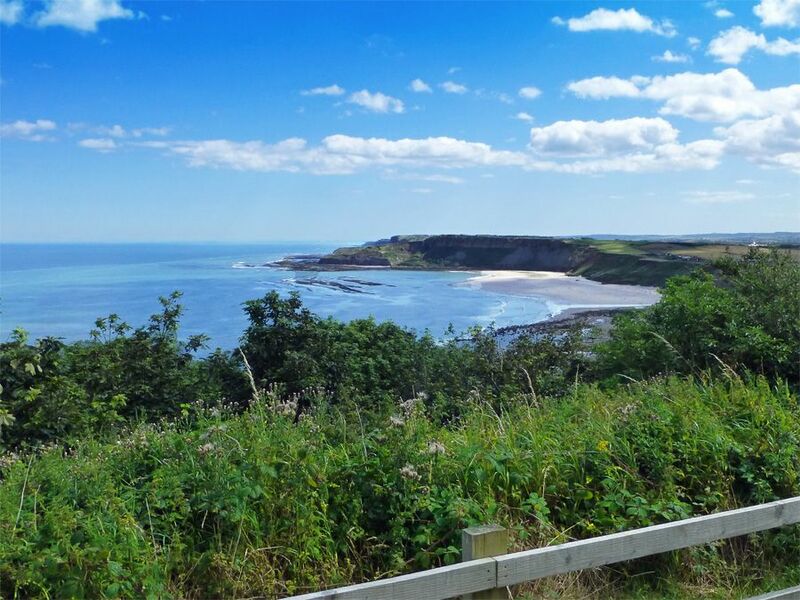 The Cleveland Way is ever popular with walkers who follow it along cliff-tops to Scarborough and beyond. 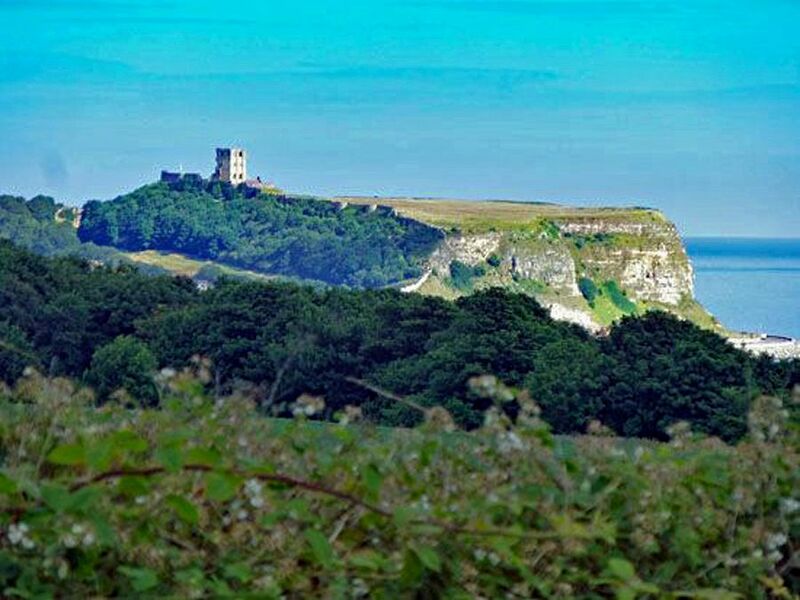 The headland is surrounded by National Trust woodland - rich with diverse flora and fauna. Guest admire the verdant scenery, and report seeing deer, badgers and squirrels from the property. 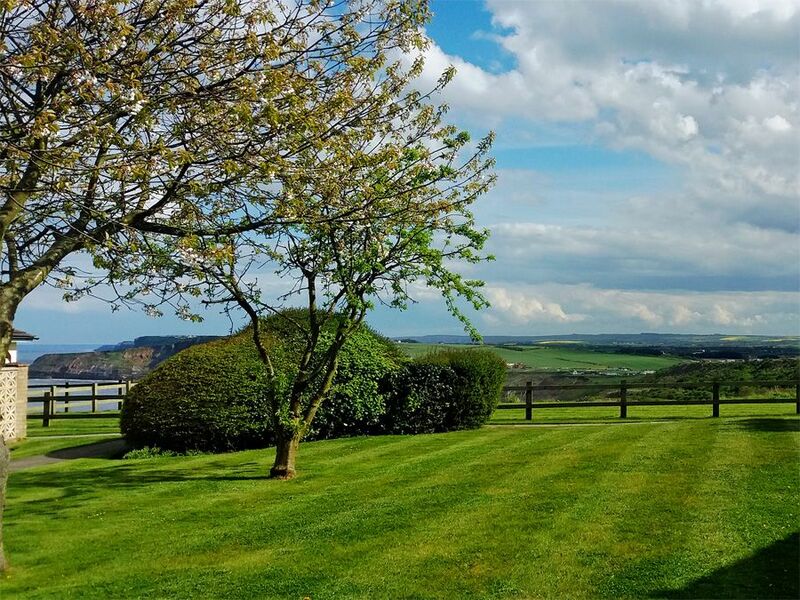 Enjoy the unobstructed 180 degree view taking in open fields, Oliver's Mount, the Grand Hotel, Scarborough Castle and a wide expanse of sea. 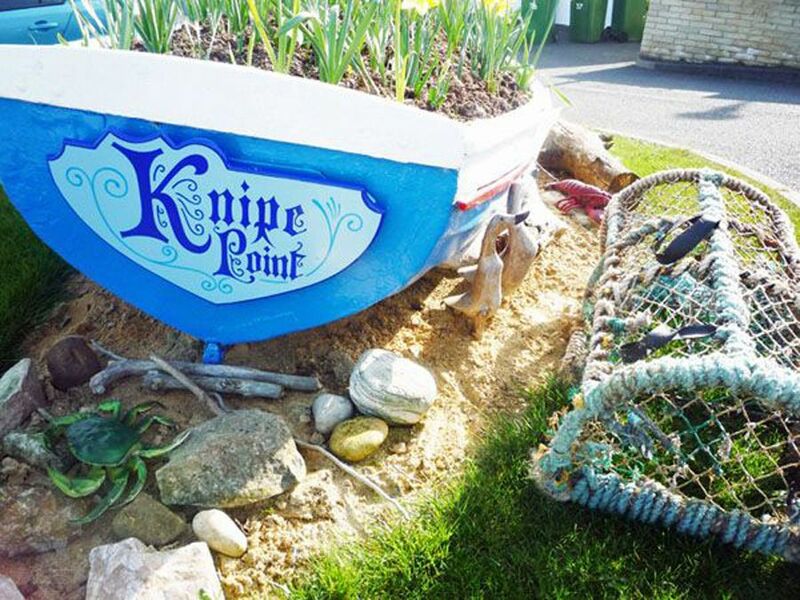 The communal gardens of Knipe Point are beautifully tended and have won a Gold Award for their design and colour. 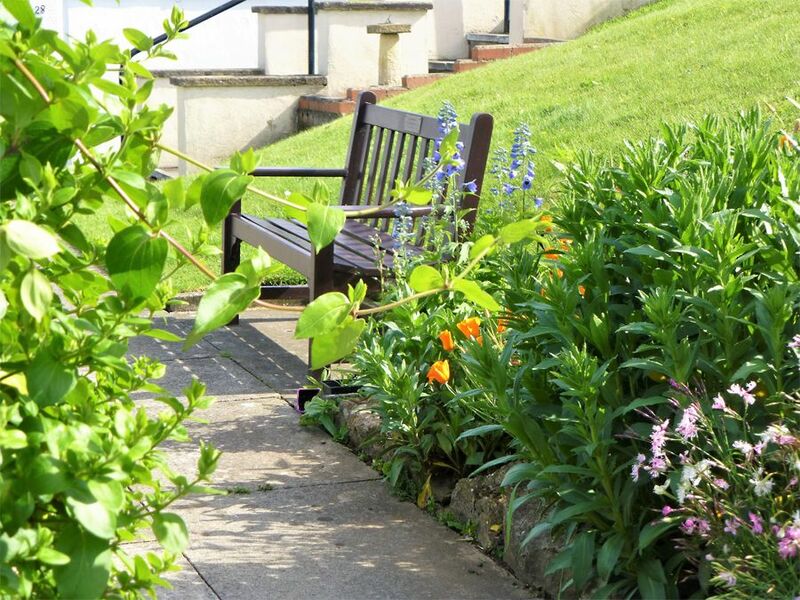 With paved paths and seating it's the perfect setting for a morning stroll or for sitting and enjoying the breath-taking sea views. The Carp pond and trickling waterfall in the centre of the grounds make a lovely focal point. Hand and tea-towels are provided but kindly bring your personal bath and beach towels. 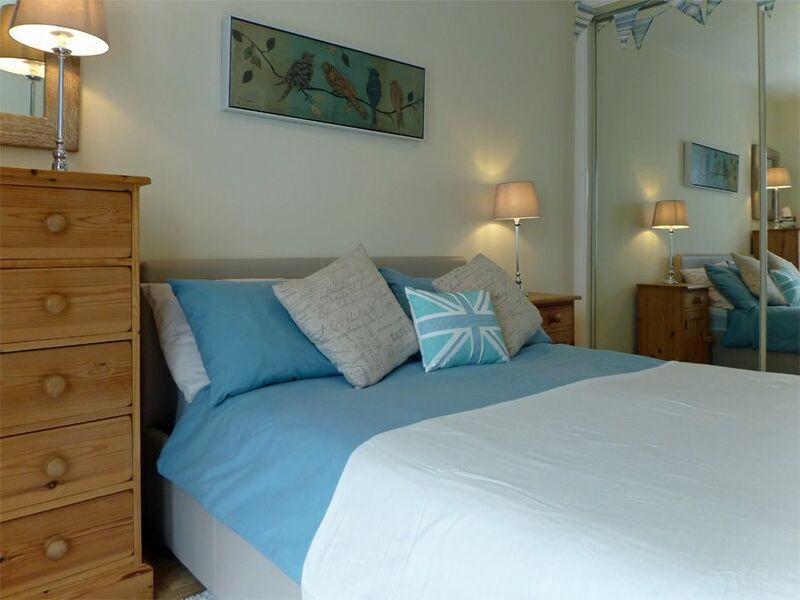 No washing machine... but a change of linen is supplied for 2-week stays and we can help with laundry for longer stays. Sorry neither pets nor smoking are allowed. You have private parking for up to 2 cars on the drive.... and further visitor parking nearby. Across the bay from Scarborough, on a headland separating Cayton Bay from Cornelian Bay... just off the old Filey to Scarborough Coast Road approximately 2 miles south of Scarborough Town Centre and 4 miles north of Filey. Deer and other wildlife often venture into the gardens from the adjoining National Trust woodland. 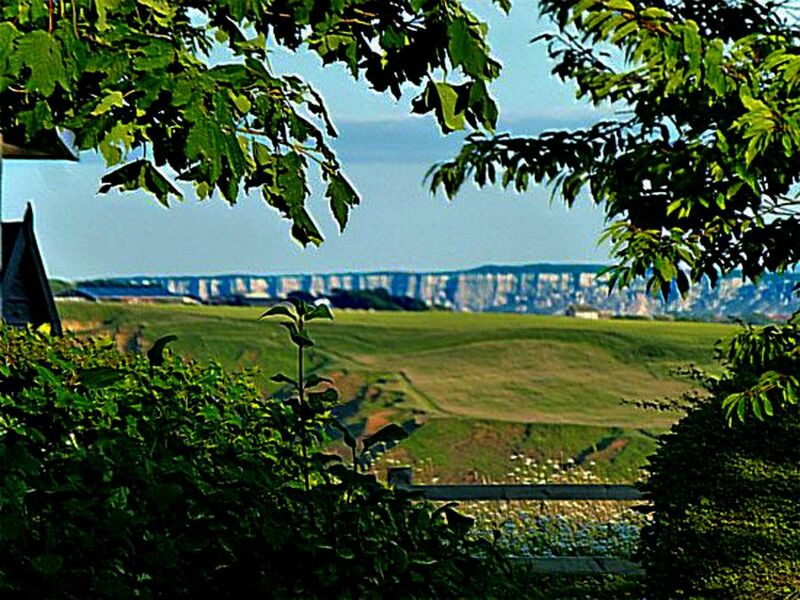 From the garden you can access the Cleveland Way - which follows the cliff tops all the way into Scarborough...or the woodland paths leading steeply down to Cayton Bay beach...(see notes below). There's a pizza take-away, and a hair salon a few hundred yards away. The local pub is 10 -15 mins walk away. Post Office & Fish & Chips are 1 mile distant at Cayton Village or Eastfield. A Supermarket (24-hour Tesco) can be found just before you reach Scarborough Centre about 1 3/4 miles north. Nearest pub, The Poacher's Barn (which serves food every day) is about 3/4 mile away in Osgodby (zoom in on map below). ACCESS. The path from the drive is level. You enter the bungalow by a side door up 2 quite deep steps, but there is a grab rail. There's another shallow step from the lounge down to the deck. 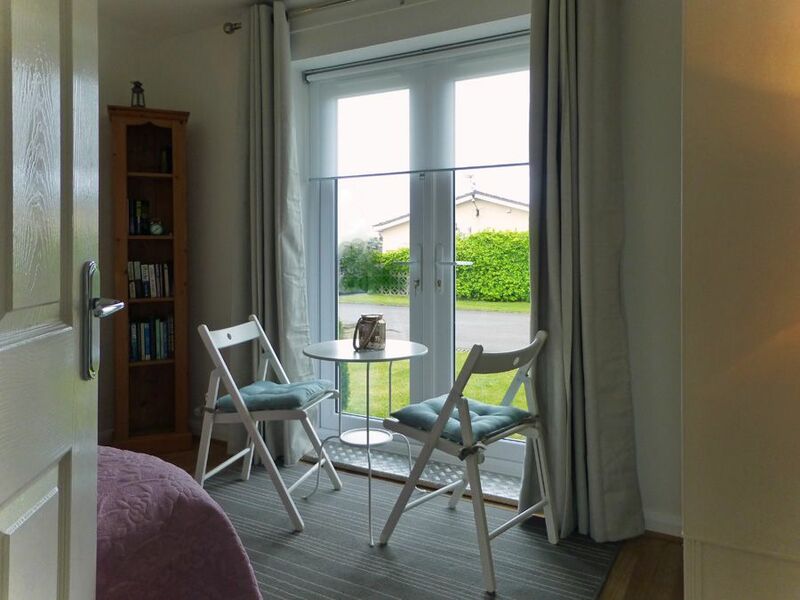 The interior of the accommodation is all level but the doorways are not wide enough to allow a wheelchair. There are no grab rails inside. 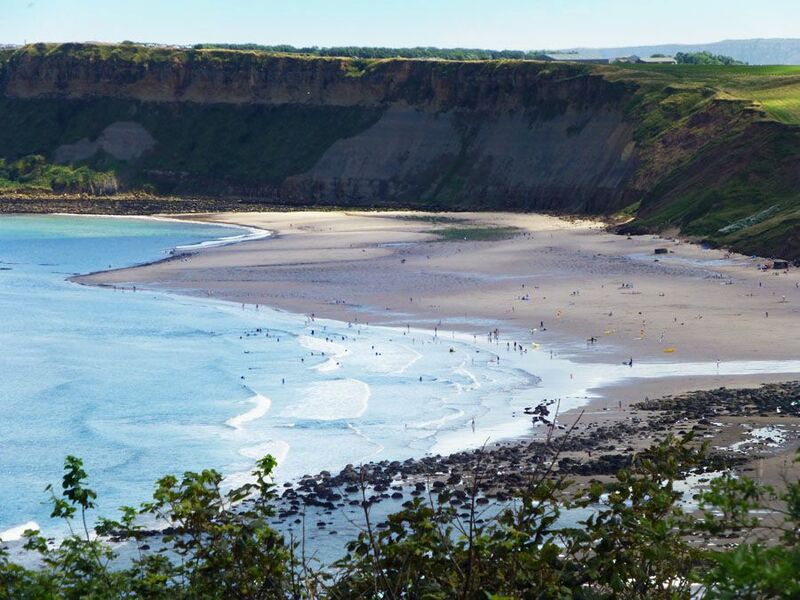 The paths to the beach are steep in places and can be slippery in wet weather...but there is an alternative surfaced path/steps to Cayton Bay only 1/4 mile further down the coast. Regular buses run into Town from a bus-stop a few hundred yards away... or there is a Park & Ride about 1/2 mile away. It was another little piece of heaven! It's the little details the amazing decor the incredible views which all make this another fantastic property. Me and my Husband (we got Married on the day we arrived) had a cosy little couple of days here for our minimoon, the weather was shocking but it was sooooo cosy indoors just looking out at the amazing views!!! This place again has everything you could want. 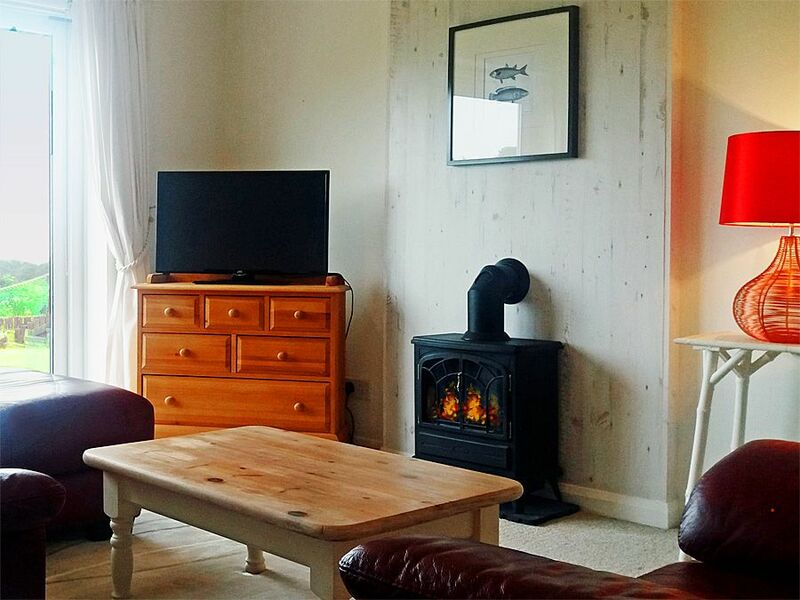 We enjoyed our say in "Across the Bay", the bungalow was well equipped, with modern furnishings and décor. 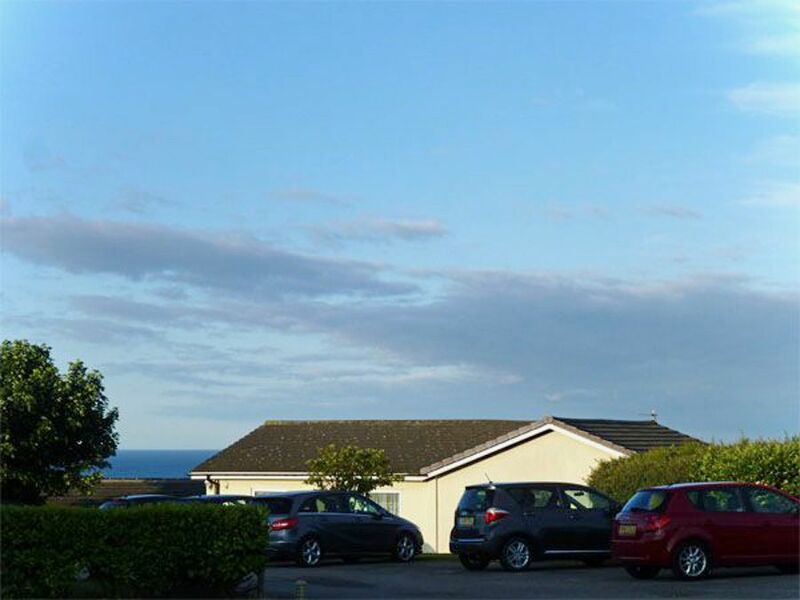 In a good location with sea views and easy access to the coastal path, although some distance from Scarborough town centre. Our second year at Across the Bay, and once again the accommodation was spot on. This with seven days of warm sunny weather in October !!!! made it perfect. Bedwyns were as always as efficient as ever. Thanks once more for a great holiday. A Mercer. The cottage was easy to find and inside everything was clean and comfortable. I particularly appreciated the little touches - maps, books, DVDs, binoculars tray mats etc. Even when the weather was bad it was snug and welcoming. Lovely, clean bungalow. Everything we needed was on hand. Would stay again. The views towards Scarborough were lovely. Our second stay at Across the Bay, and again found everything one could need. 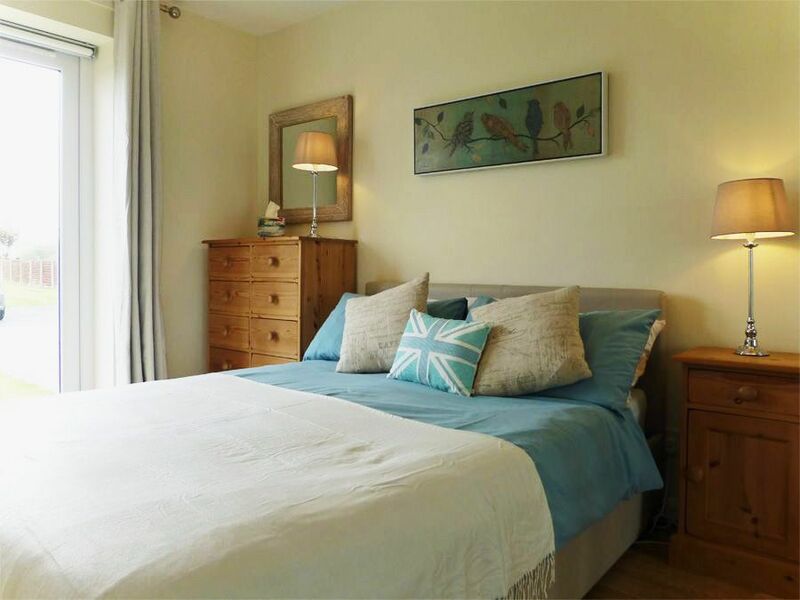 The property is always very well presented, meaning you need not have any concerns about cleanliness etc. 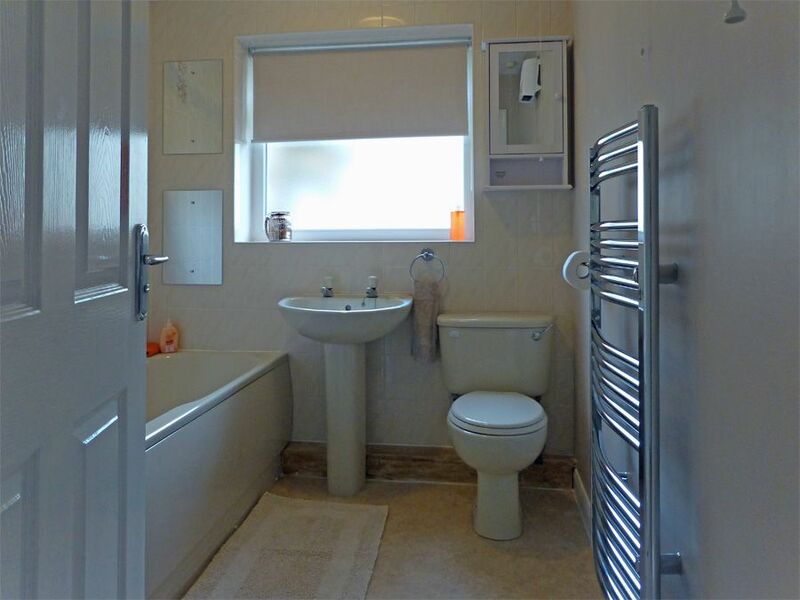 The property is in a very good location making it convenient for visiting the local area. We hope to visit again next year. Family visit over Christmas and as this was the second stay here, we weren’t disappointed, superb views and with the added bonus of WiFi. Will certainly be staying here again. This was our 3rd stay at Across the Bay. 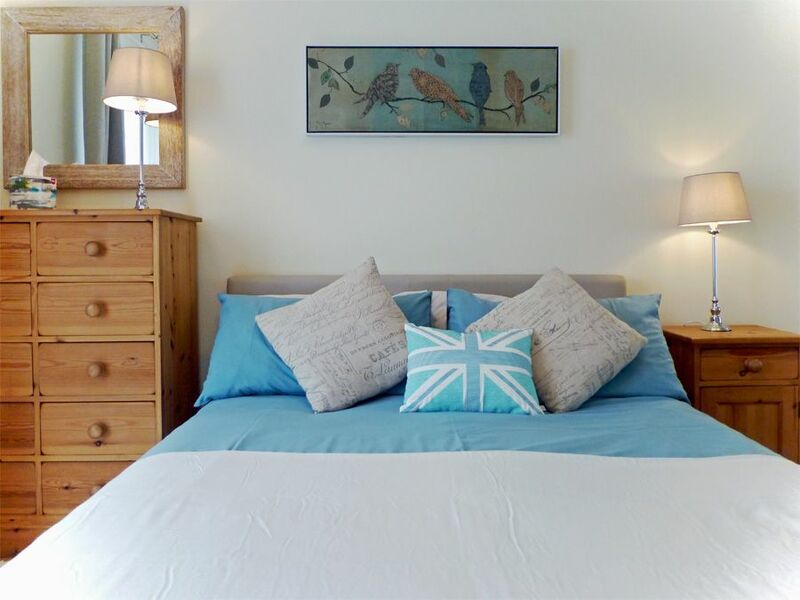 We always look forward to staying there knowing that everything will be very clean and tidy, well equipped and well looked after. Compliments to the owners and Bedwyns. We will definitely be booking again. 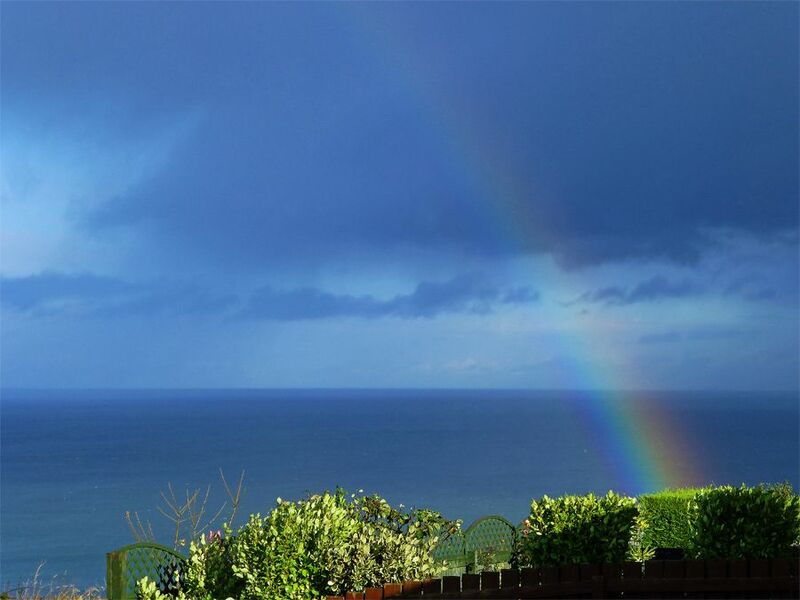 Pleasure to stay Cannot fail to express the pleasure of staying at Across The Bay. Each year it is never a disappointment. 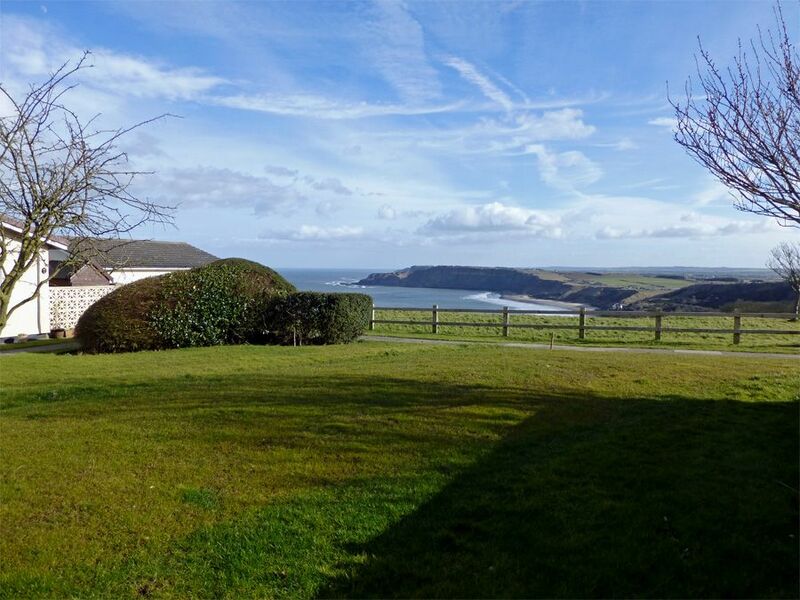 Superb I booked again on behalf of my family who have stayed before and they have thoroughly enjoyed their stay. 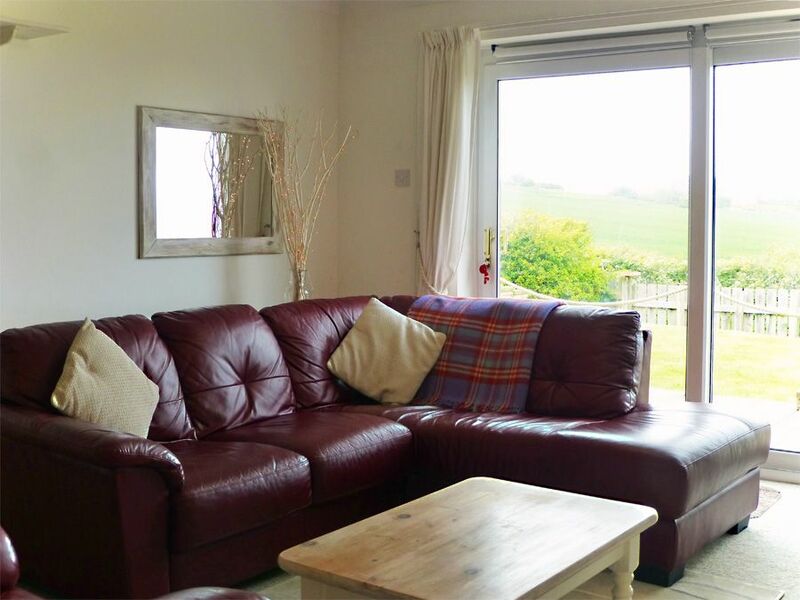 The views are stunning from the lounge and the bungalow is in a quiet part of the complex! Very clean and comfortable with the added bonus of free WIFI. Across the Bay delivered on every level ❤️	We had a fabulous stay here. 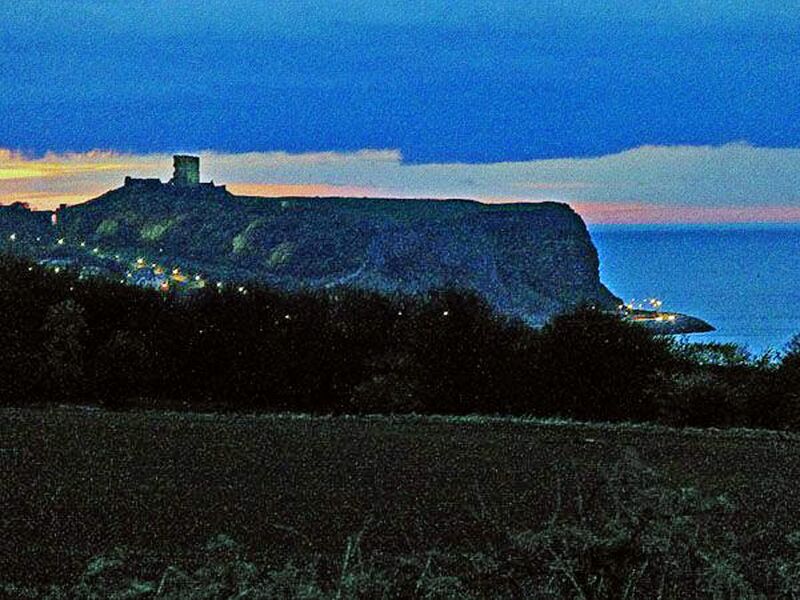 It was quiet, peaceful, amazing views across the bay dominated by Scarborough castle. 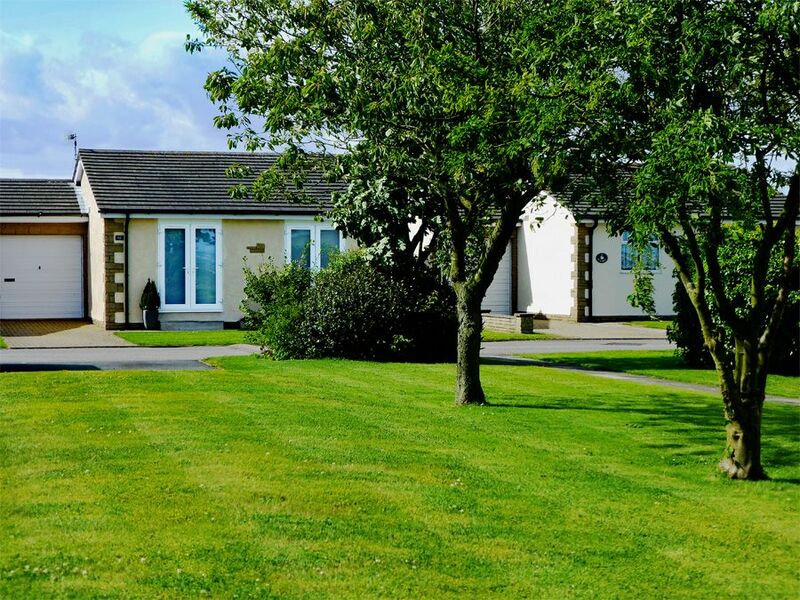 The property was so comfortable it felt like home from home, everything we could wish for was provided. The place was spotlessly clean, tastefully decorated, embracing the beach theme. Everyone’s taste was catered for with books and music and films should you wish to curl up, relax and admire the view without venturing out. 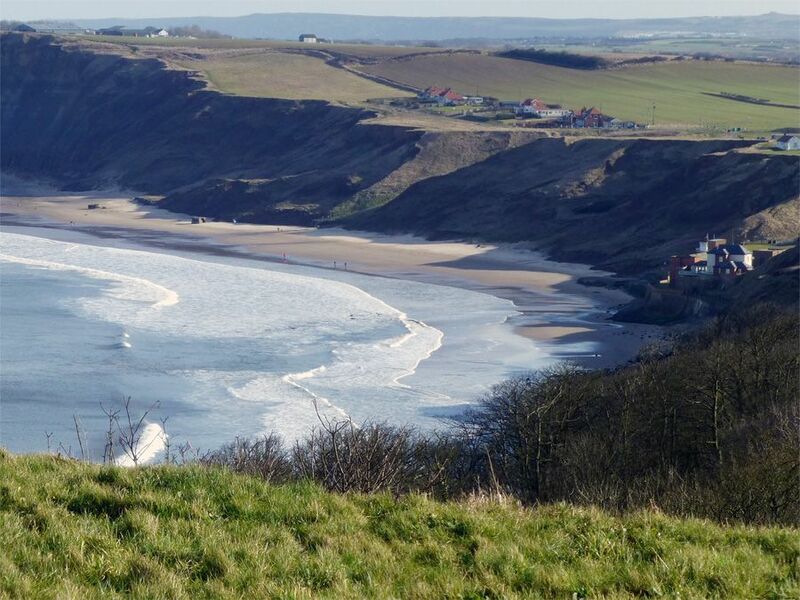 Gorgeous walks with stunning scenery and a great base to access the other coastal resorts, striking distance of Bridlington, Filey, Flamborough etc. We would highly recommend a stay here, you won’t be disappointed. Having stayed in Knipe Point a couple of times previously this is without doubt the best we have come across - I would highly recommend Look out for the wonderful Fox from early evening. Oct 2018. Beautiful place Review. Stayed here 3 times now the bungalow has everything you need so comfortable and well equipped, the views are stunning, so peaceful nothing is too much trouble for the owners so friendly, can't wait to stay again. Nov 2018.